Of course this post is hugely inspired by the hunting and killing of Zimbabwe's most famous lion, Cecil. But for years I've been a huge supporter of animal conservation. The whole situation infuriates me so much. For years I've been speaking out against animal cruelty, poachers and hunting etc. I'm sure so many of you have done the same,whether it's signing a petition to protect a dog or even just voicing your opinion among your friends. IUCN's levels of threatened species. While doing research, I came across a website called IUCN. 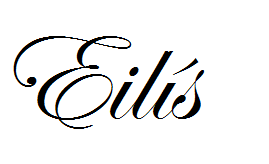 It stands for International Union for Conservation of Nature and Natural resources. On the site is a list called the "Red List". When you think of the colour red, you usually think DANGER. WARNING. In this case it's true. On the list is the name of every single species on the planet that are deemed "endangered" I don't even recognize most of them and that's what frightens me. Species I have never seen before are dying before most of the world gets to discover them? Before you go all Save-The-Whales and calling me a tree hugger, take a look at this list. 1- They are culling the species before it becomes too many. 2- The animals in question are "dangerous". 3- Communities where the animal was killed will receive a small share of money gained by selling "trophies". 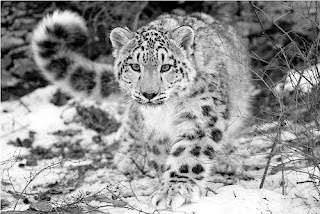 4- By killing animals, there will be more space for other animals, helping conservation. Do you think any of these reasons are genuinely valid, backed up with proper evidence? Animals such as elephants, lions, giraffes, pandas and rhinos are classed as endangered. Read the animal names again. Haven't you grown up being told stories of these creatures, watching documentaries on their lives, drawing pictures of them, or having cuddly toys of some of these animals? Can you really say that a world without these is a good idea? That you support it? That you'd be okay with future generations growing up in a world where animals that seem so familiar to us being things of the past, as legends, something only seen through video or photos? Google "Cecil the lion" and you'll see hundreds of photos of an absolutely beautiful animal. He was a South Western African lion and was thirteen years old. A father of six cubs, he lived mostly in Hwange National Park in Zimbabwe. 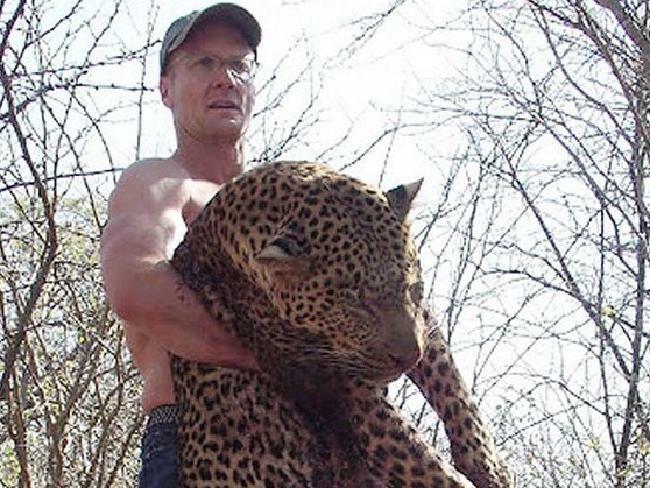 On July 1st, he was shot by American dentist Walter Palmer and was beheaded. 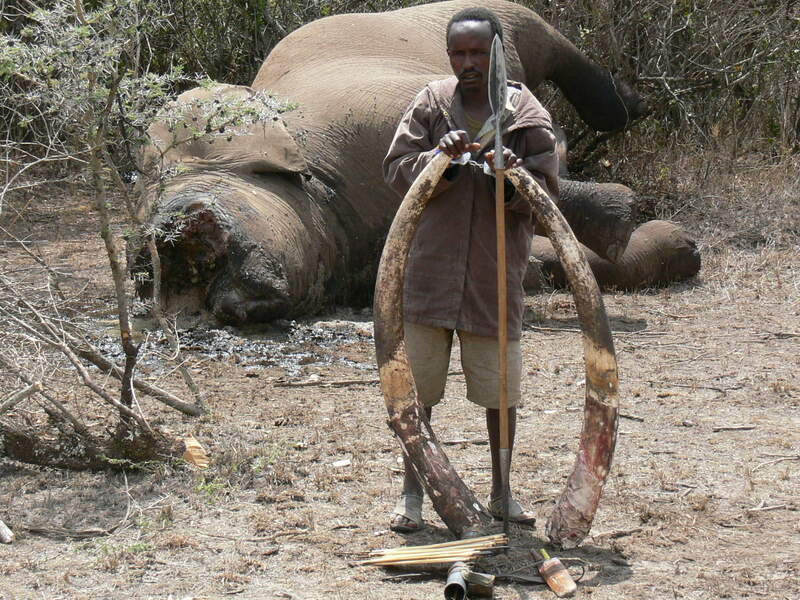 His body was skinned and his head taken as a "trophy". Soon after, the world reacted exactly the way I had hoped. With absolute outrage. There have been calls for extradition, so that the dentist can be charged for his actions. The dentist reportedly paid $30,000 to shoot this lion. However it was illegal to do so. broke Zimbabwean law and should be held accountable. The dentist has gone into hiding since his name was released. I think all trophy hunters should be named and shamed. Even more recently a female trophy hunter posted pictures of her standing next to a dead giraffe. Sabrina Corgatelli killed a giraffe in South Africa stating that giraffes "are dangerous. 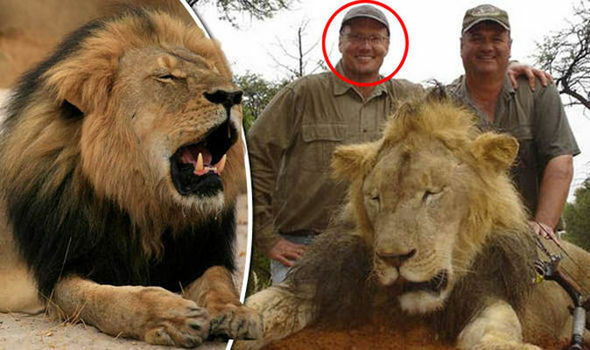 I am so disgusted with Walter Palmer becayse I feel it's only because he was caught killing a beloved lion that he feels "remorseful" for his actions. 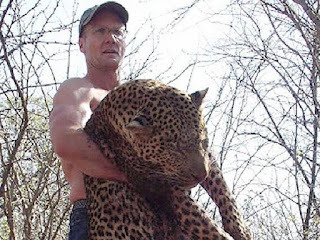 Photos are all over the internet of this man posing proudly next to his kills. He's not the only one. 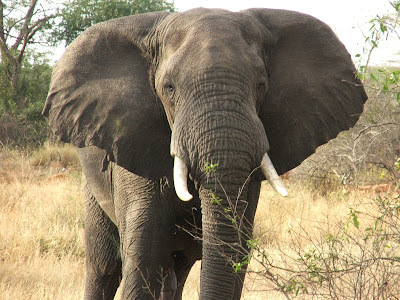 Many American tourists travel to Africa specifically to hunt and kill big game such as elephants, giraffes, warthogs and leopards. Just today, airlines such as Delta, United Airlines and American Airlines have announced that they will no longer allow the flying of big-game trophies on their flights. Sign the petition to get justice for Cecil. Details of what the petition is hoping to achieve accompany the petition. Over ONE MILLION have signed. It takes all of three minutes to do so. 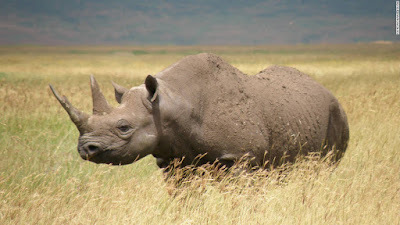 This is the Western Black Rhino. It was declared officially extinct in 2011. The last male Northern White Rhino on earth is being protected from poachers twenty four hours a day. This is what we have to resort to to prevent a species from dying out. It shouldn't have to come to this. Strange as it looks, Sudan the rhino has had his horn sawed off, in a safe manner as many rhinos' horns have been, in an effort to protect them from poachers. For many centuries rhinos' horns were thought to have magical powers, being able to cure certain cancers. This is false. It has now been proven that rhino's horns contain the same material that makes up our fingersnails: keratin. 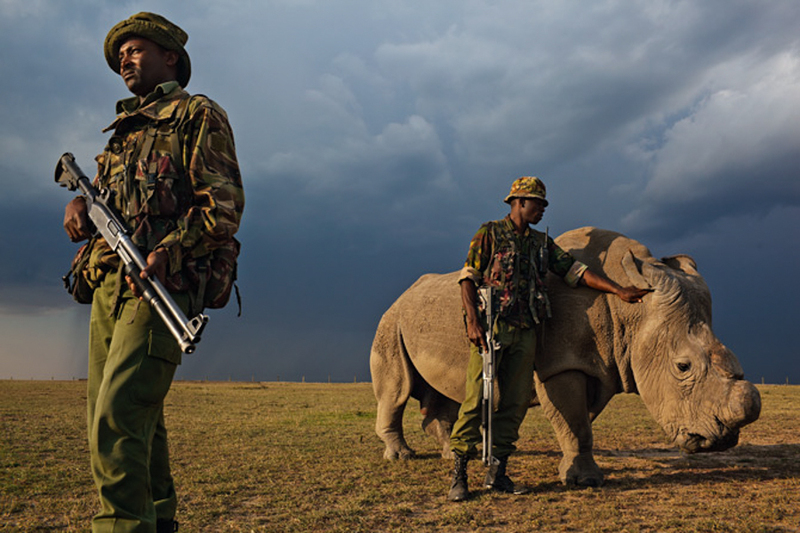 Head to National Geographic for more articles on Animal Conservation if you're interested. My main aim with this post is to encourage you to speak out against it. YOU SHOULD CARE ABOUT THIS. It's so sad that so many animals are being killed unnecessarily. Like I said before, do you want to live in a world without wild animals? I'm not an expert on animal conservation. I just think that it's disgusting that us humans destroy plants, animals, the landscape, pollute the air and don't seem to understand the irreversible damage being caused. Elephants/Rhinos tusks are being painted pink to make the ivory useless and in turn hopefully protect the animals. Greenpeace put together a list of wildlife conservation sites if you'd like to donate or spread the word. I'd like to think that Cecil the lion won't have died in vain if it means poaching/trophy hunting is banned in all countries. 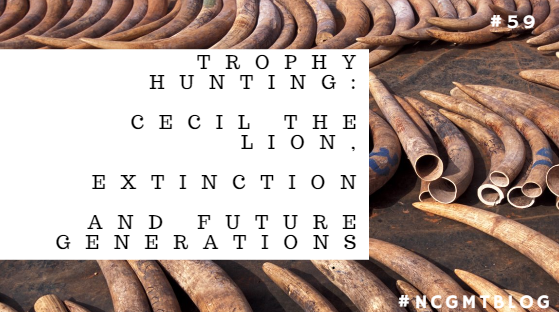 Is the ban of poaching/trophy hunting wishful thinking? I hope not. It genuinely makes me so sad while looking at photos of so many dead animals while researching this post. I'm sorry if some of these photos are offensive or upsetting, but that's the harsh reality of poaching/hunting. As always, photos are merely decorative and copyright goes to owners.